For some reason I’m really into asian food lately. I recently learned that Michael LOVES asian cuisine so it’s been a win-win over here. This bowl of deliciousness was born from a side dish that I have been trying to make for about 6 months. 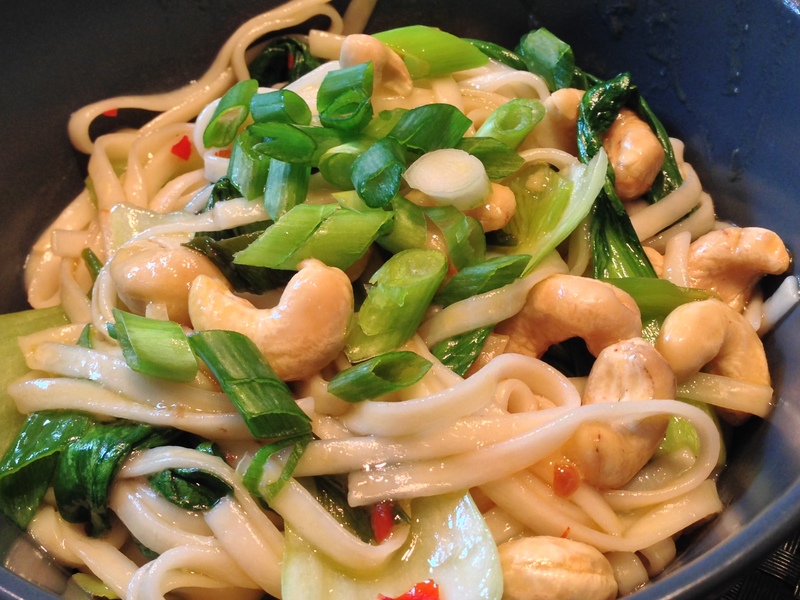 Every time I would buy the baby bok choy, it would wind up going bad and my plan was foiled. Very sad. This time I scheduled the meal for early in the week so the baby bok choy would be fresh and perfect. Mission accomplished! Cook noodles according to package. Heat 2 tbsp of olive oil over medium heat. Add the onions and cook for about a minute, then add the bok choy and garlic. Cover, lower heat and cook until the bok choy is wilted. 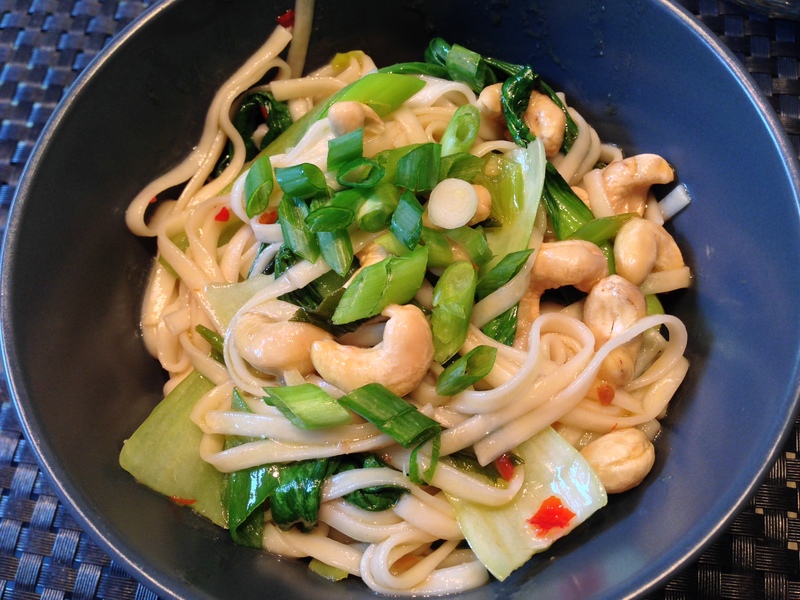 Add the noodles, 2 tbsp of olive oil, sesame oil sweet red chili sauce and cashews to the pan and toss well. Split equally into bowls and top with chopped green onion.